The Supreme court asked the state government to apprise the vision document of Taj Mahal's protection within four weeks. The UP government informed the top court that it was working on the vision document of Taj Mahal. 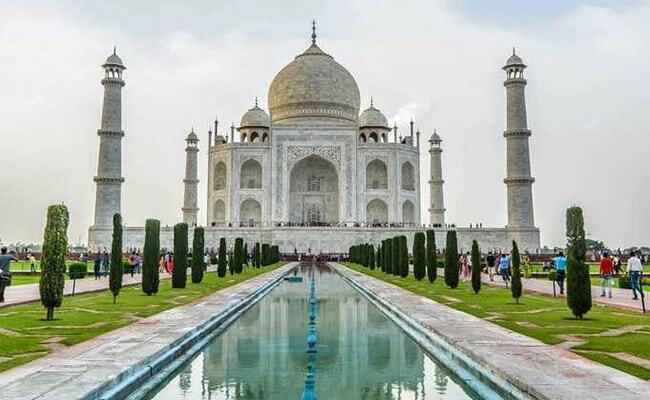 New Delhi: The Supreme Court today directed the Uttar Pradesh government to place before it a draft of vision document on protection and preservation of the Taj Mahal and environment in the Taj Trapezium Zone (TTZ). The Uttar Pradesh government informed the top court that it was working on the vision document which would help in the protection and preservation of the 17th century mausoleum. It sought four weeks time from a bench of justices Madan B Lokur, Kurian Joseph and Deepak Gupta for completing the work on the vision document. The bench said that the Central Empowered Committee will look after the issue of felling of 234 trees for laying pipelines for water supply in the city. Counsel for the state government said 122 km of pipelines out of the 130 km, had already been laid and for remaining eight km, the authorities need to cut 234 trees and the TTZ had granted permission for it. On February 8, the apex court had directed the state government to place before it a vision document on protection and preservation of the Taj Mahal. The TTZ is an area of about 10,400 sq km spread over the districts of Agra, Firozabad, Mathura, Hathras and Etah in Uttar Pradesh and Bharatpur in Rajasthan. It had questioned why leather industries and hotels were coming up in the TTZ when such activities were stopped earlier. The court had in December last year said that a detailed and comprehensive vision document and plan with a futuristic perspective which could protect and preserve the iconic monument, its environs and the TTZ for at least a few hundred years, should be prepared. The state government had also filed an application seeking the court's permission to cut 234 trees in Agra for laying pipelines for water supply in the city. The court asked the state government to apprise it within four weeks on where land to plant trees was available in the area and also give details about the number of trees planted there. Environmentalist M C Mehta, who has filed a plea seeking protection of the Taj from the ill-effects of polluting gases and deforestation in and around the area, had told the bench that he had attended a meeting of the authorities concerned to discuss the issue related to protection of the monument. The TTZ had earlier told the court that a "no construction zone" was declared in a-500 metre radius area of the Taj and the state government had envisaged a comprehensive plan to ensure balance between environment and development. The top court has been monitoring developments in the area to protect the monument, built by Mughal emperor Shah Jahan in the memory of his wife Mumtaz Mahal in 1631. The mausoleum is a UNESCO World Heritage Site.